Pass the sea salt please! Sea salt is sourced naturally from the sea, and does not go through any chemical or artificial processing that alters the natural make-up of the salt. It contains many essential trace minerals that the human body needs in order to be healthy. Naturally, sea salt is healthier than the iodized table salt available in stores as it goes through multiple processing methods. Sea salt has gained popularity in restaurants and supermarket aisles worldwide. Gourmet chefs prefer it over table salt for its coarse, crunchy texture and stronger flavor. Manufacturers are using it in potato chips and other snacks because it’s all natural and not processed like table salt. But it is for its health benefits that sea salt is widely preferred over table salt. Strong Immune System – Sea salt helps in building up a strong immune system naturally so that the body can fight off cold viruses, fever and flu, allergies and other auto-immune disorders. Alkalizing – Sea salt is alkalizing to the body, as it has not been exposed to high heat and stripped off its minerals, nor does it have any harmful man-made ingredients added to it. Thus, it helps prevent and reverse high levels of acids in the body, which in turn eliminate the risks for serious and life-threatening diseases. Weight Loss – Believe it or not, but sea salt does aid weight loss. It helps the body to create digestive juices so that the foods you eat are digested faster and it helps to prevent buildup in the digestive tract, which eventually can lead to constipation and weight gain. Skin Conditions – A warm sea salt bath can help in relieving dry and itchy skin as well as serious conditions such as eczema and psoriasis. The bath naturally opens up the pores, improves circulation in the skin and hydrates the tissues so that the skin can heal. Asthma – Sea salt is effective in reducing inflammation in the respiratory system. It can decelerate the secretion of phlegm or mucous during asthma and reduce the inflammation a lot. As a result, it is easier to breathe. Some say that sprinkling sea salt on the tongue after drinking a glass of water is just as effective as using an inhaler. But the great thing about sea salt is that it has no side effects when taken in moderation. Heart Health – When sea salt is taken with water, it helps in reducing high cholesterol levels, high blood pressure and in regulating an irregular heart beat. Thus sea salt can help prevent atherosclerosis, heart attacks and strokes. Diabetes – Sea salt can help in reducing the need for insulin by helping to maintain proper sugar levels in the body. 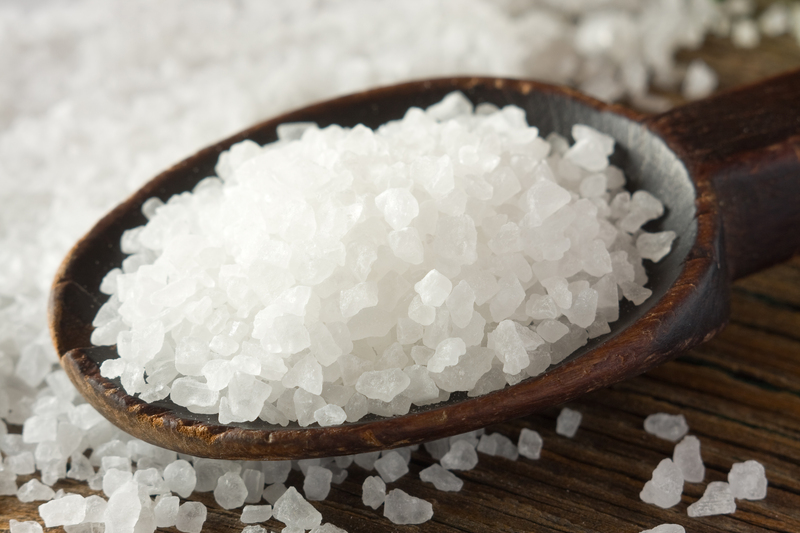 Sea salt is an essential part of the diet if you are diabetic, or at risk for the disease. Osteoporosis – More than 20% of the entire sodium content of your body is accumulated in your bones, which get damaged during the lack of the mineral in the bloodstream as well as the body fluid. When the body lacks salt and water, it begins to draw the sodium from the bones, which then eventually can lead to osteoporosis. So, by drinking plenty of water and consuming sea salt in moderation the onset of osteoporosis can be prevented. Muscle Spasms – Being a good source of potassium, sea salt can also be used as an anti-spasmodic agent. Potassium facilitates the functioning of your muscle fibers. In addition to it, sea salt helps the body to absorb it better from other foods. Thus, the muscular tissues remain sound and healthy and you can stay away from acute muscle spasms, cramps and pain. Depression – Sea salt has shown to be effective in treating various types of depression. Sea salt helps to preserve two essential hormones in the body that help you to better deal with stress. These hormones are serotonin and melatonin, which help you feel good, relax and sleep better at night. Categories: Eat Green, Eco Living, Live Green, Natural Mantra, Organic Living, Sustainable Living | Tags: Asthma, Cardiovascular Health, Depression, diabetes, Immune System, Magnesium, Muscle Spasms, Potassium, Sea Salt, Table Salt, weight-loss | Permalink.